Nothing too exciting has happened in the past week. Just the normal routine of life and work. The weather is still chilly, but not “snow” cold. The weather report says that it is going to snow tomorrow though so keeping my fingers crossed for that! 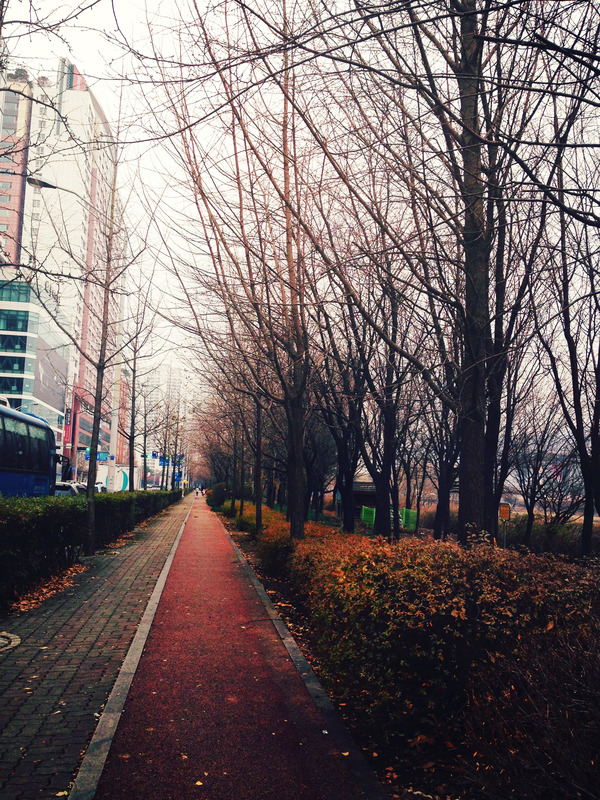 I have been taking pictures here and there though of a “winter Korea”. All the seasons have been beautiful so far! 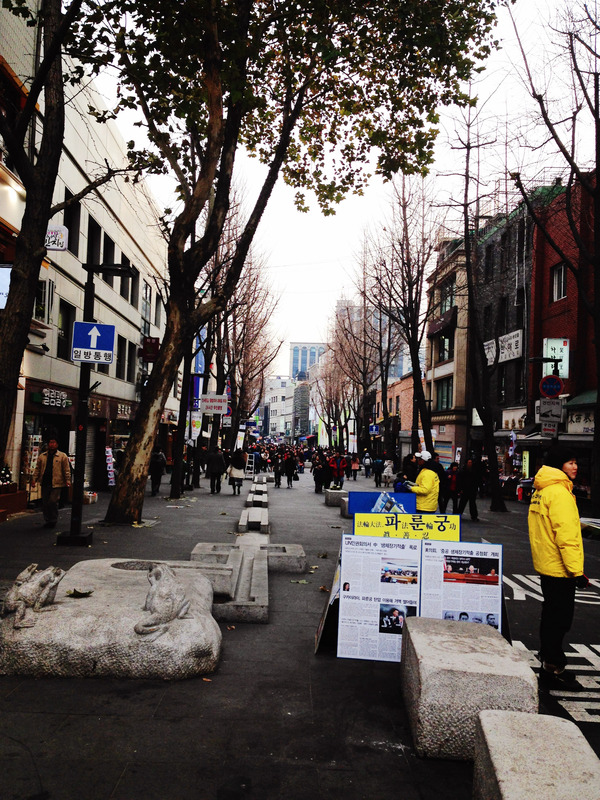 This past weekend, John and I went Christmas shopping in Insa-dong. I have probably mentioned it before, but Insa-dong is a great place to get Korean gifts! 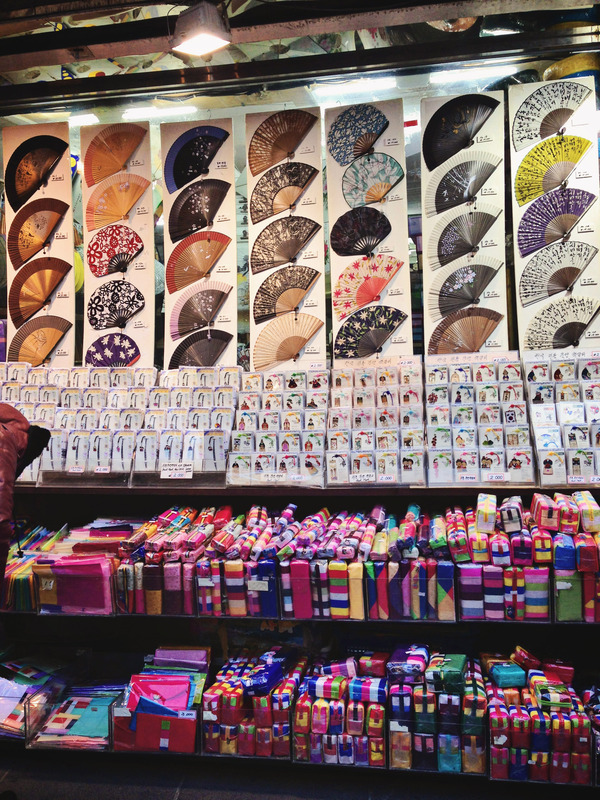 There are many little shops with unique gifts. 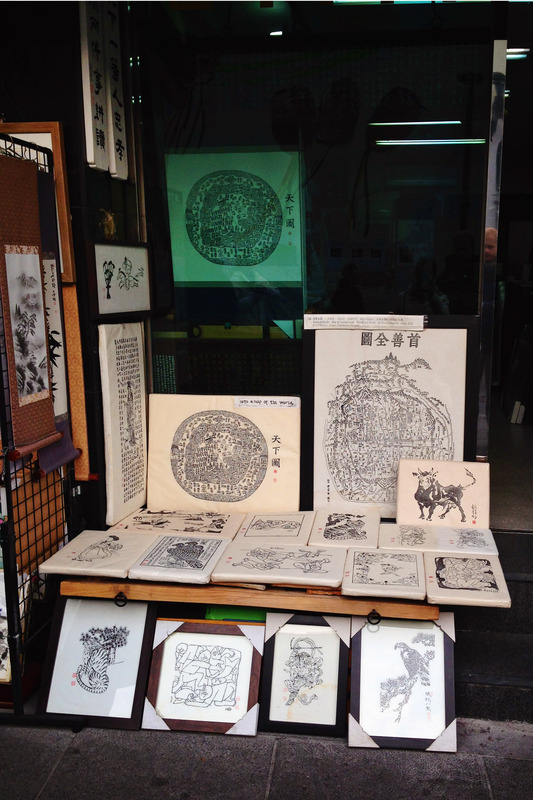 You can find little tea sets, paintings, Korean Crafts, and any type of touristy gifts. The little street is cute and also filled with tiny cafes and restaurants if you wanted to grab a coffee or something to eat. 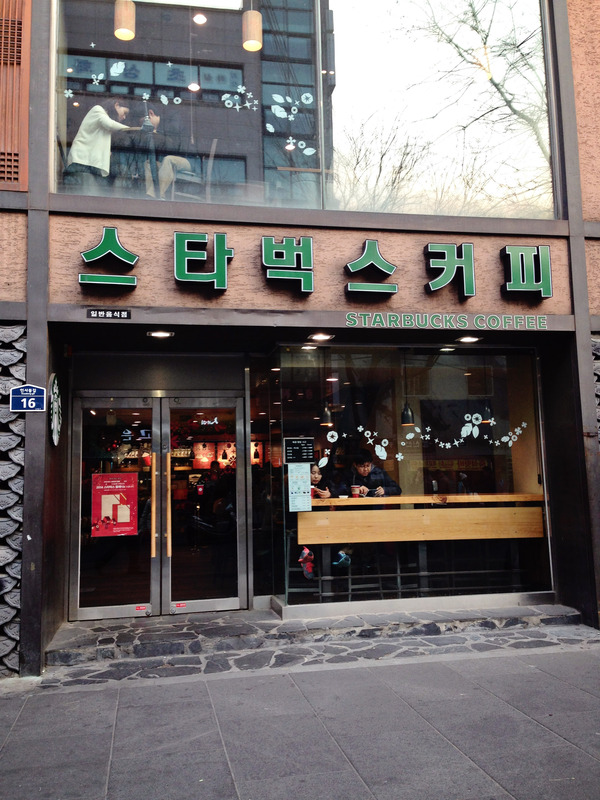 Insa-dong is also famous for having one of the world’s only Starbucks where the sign is not in English. I’ll post a few pictures below! After Insa-dong, John and I got one of our new favorite foods, Shabu-Shabu. My sister introduced this soup to us and we love it! 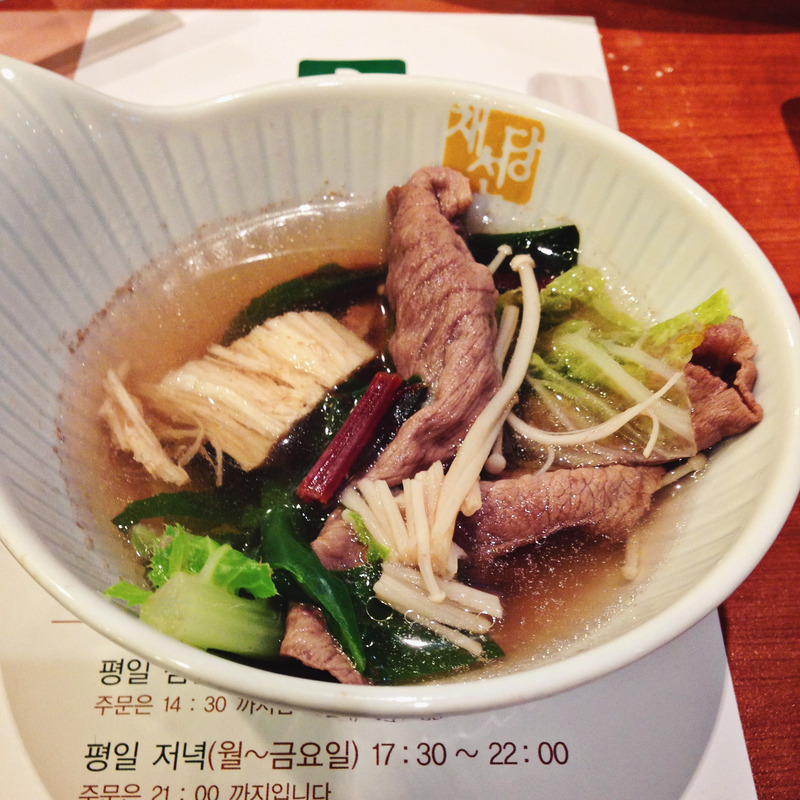 Shabu-Shabu is a Japanese soup that is also very popular in Korea. It is made with a delicious beef broth, filled with vegetables, beef and noodles, and is basically a fondue style soup where you quickly cook and eat it, little by little. You also eat it in stages, first with the veggies, then meat, and finally with the noodles or rice. It’s a very delicious and refreshing soup! Other than this, our week was pretty routine. 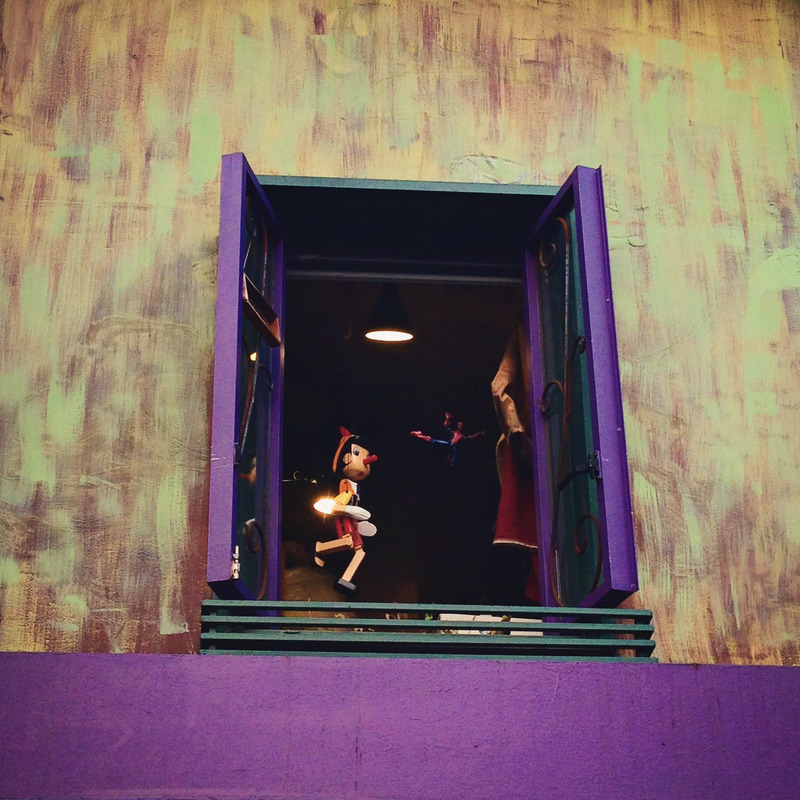 Hopefully next week there will be something more exciting to blog about. 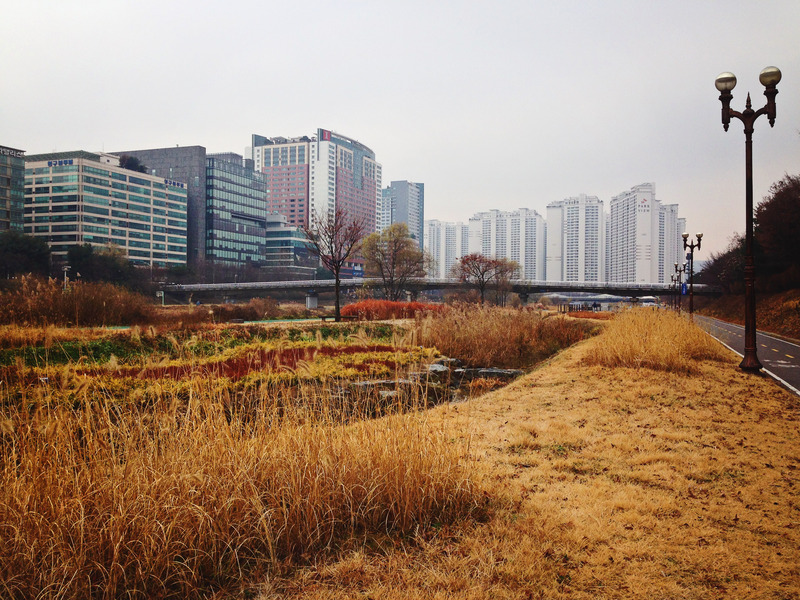 The winter look – All the yellow leaves are gone! 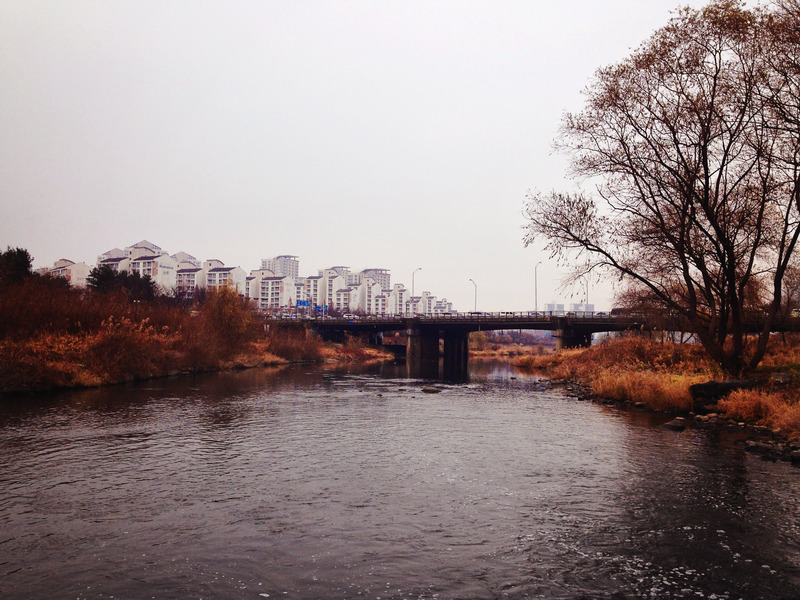 The river and walking trails by my apartment. 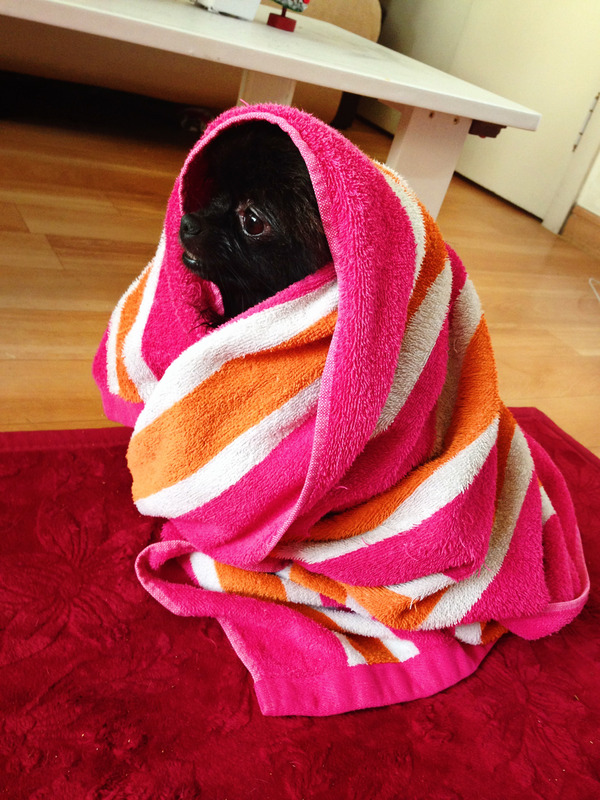 Luci after a bath that she needed, yet hated. 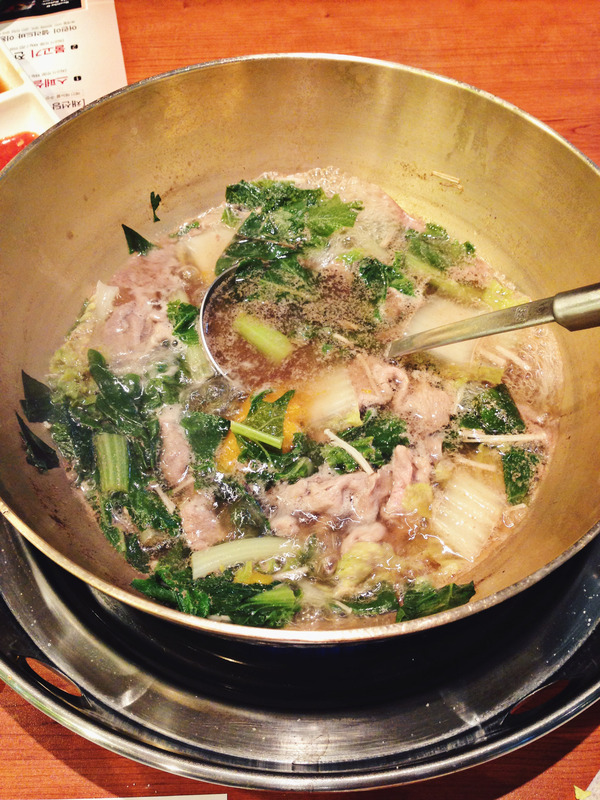 Shabu-Shabu, one of the most delicious soups! Yep. It’s Christmas time. 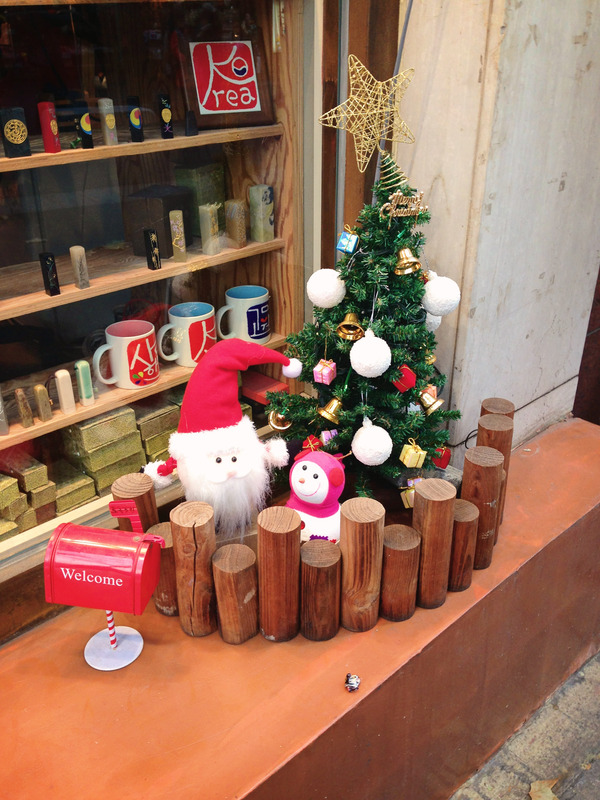 Time to head to Insa-dong for some gifts to send home. 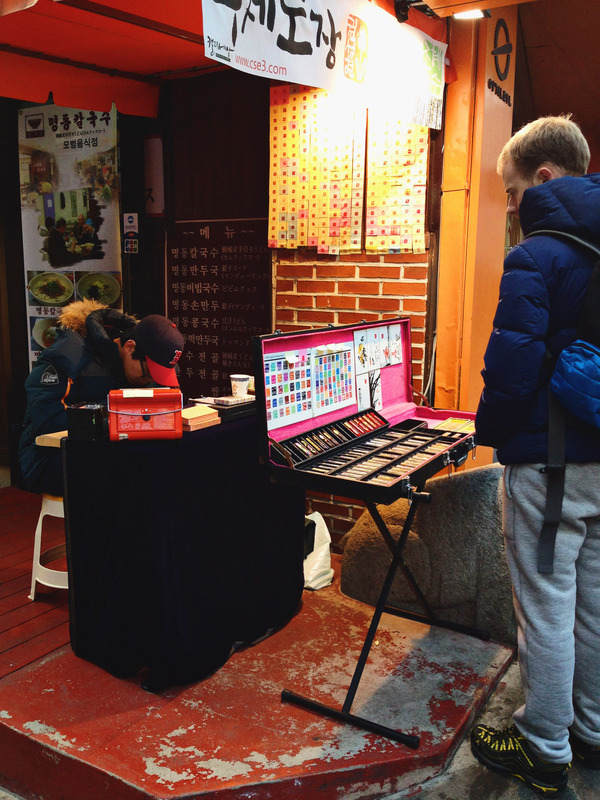 Great place for Korean gifts!